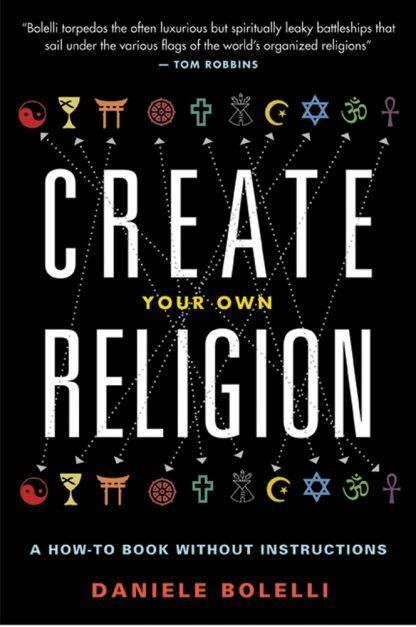 Create Your Own Religion is a call to arms�an open invitation to question all the values, beliefs, and worldviews that humanity has so far held as sacred in order to find the answers we need to the very practical problems facing us. Writer, philosopher, and professor of comparative religion, Daniele Bolelli, leads the reader through three thousand years of mythology, misogyny, misinformation, and the flat-out lies about �revealed truth� that continue to muddle our ability to live a peaceful life, free of guilt and shame and the ultimate fear of death. Daniele Bolelli is a writer and college professor. He has also fought professionally in mixed martial arts and appeared in I Am Bruce Lee (2012). He is a frequent guest on The Joe Rogan Experience, The Adam Carolla Show, and The Duncan Trussell Family Hour. His own podcast The Drunken Taoist is regularly rated among the most downloaded worldwide in the �philosophy� category of iTunes. His other books include Create Your Own Religion.